We were thrilled when Tobi contacted us to feature their very own clothing line on Mod Circus. We each picked three pieces to style and let me tell ya, it was hard picking just three each, but I think we both found pieces that incorporated our own style and the Tobi brand. We were super impressed with the quality of the pieces we received as well as the prices! Plus, Tobi offers 50% off your very first purchase! 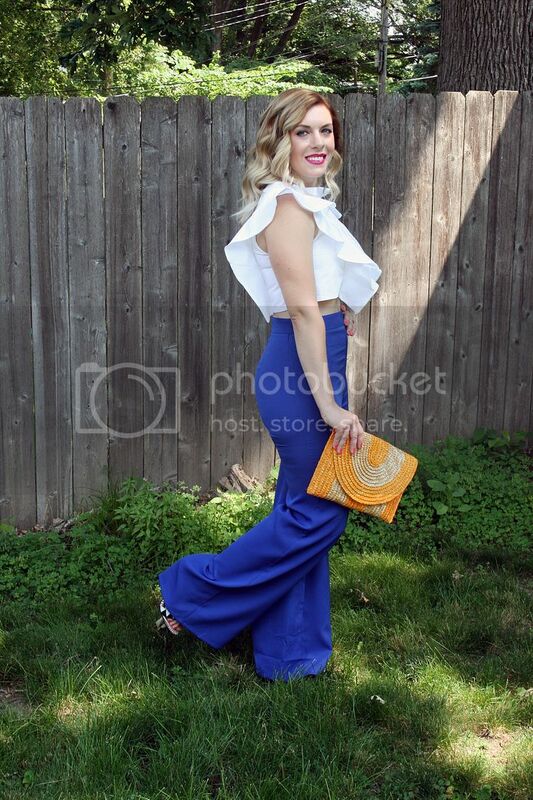 First up, I chose these vibrant blue wide leg, high waisted pants. I love how how flattering they are! They truly are high waisted, so pay attention to the size chart. Normally, I have a hard time finding something that fits perfectly in the waist AND the hips, but these fit like a glove. 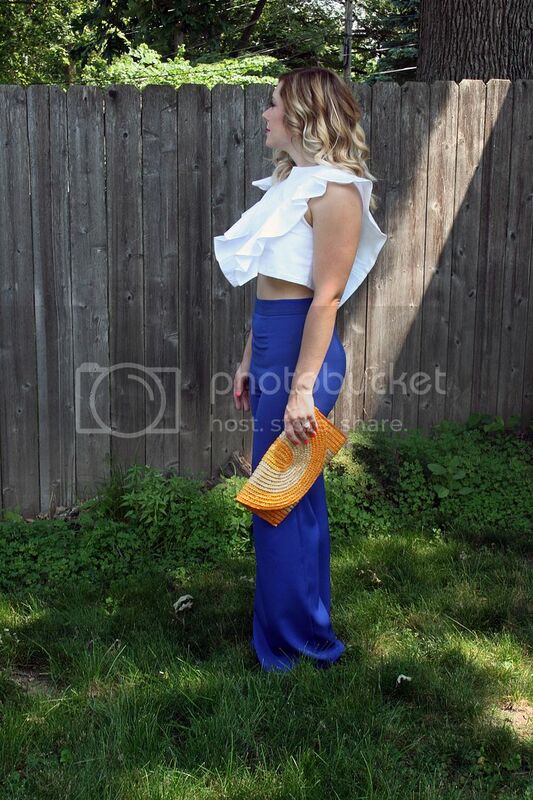 I paired them with this Viva Aviva ruffle crop top that I got last summer. It's almost like I'm psychic and knew that the future held these blue pants, because these two things go together like peanut butter and jelly! 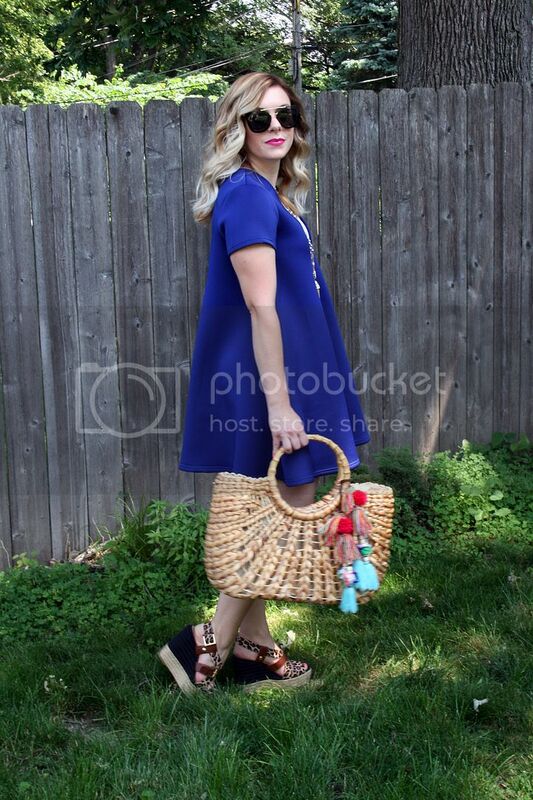 A summer straw clutch balances the look nicely, making it perfect for a summer date night! Next up, I chose this black skater dress. This isn't your ordinary skater dress. The back holds a surprising detail. How fun is that? It's definitely a business in the front, party in the back vibe. This dress can definitely be dressed up or down, but I chose up. Strappy heels and a bamboo clutch, along with a chic top knot, makes this look perfect for a cocktail event this summer. Last, but certainly not least, my very favorite piece of the entire haul! I was surprised to see that this swing dress was actually made of a scuba material, but that made me love it even more. It's unbelievably comfortable, while still being flattering. This could easily be worn with flat festival sandals or wedges. 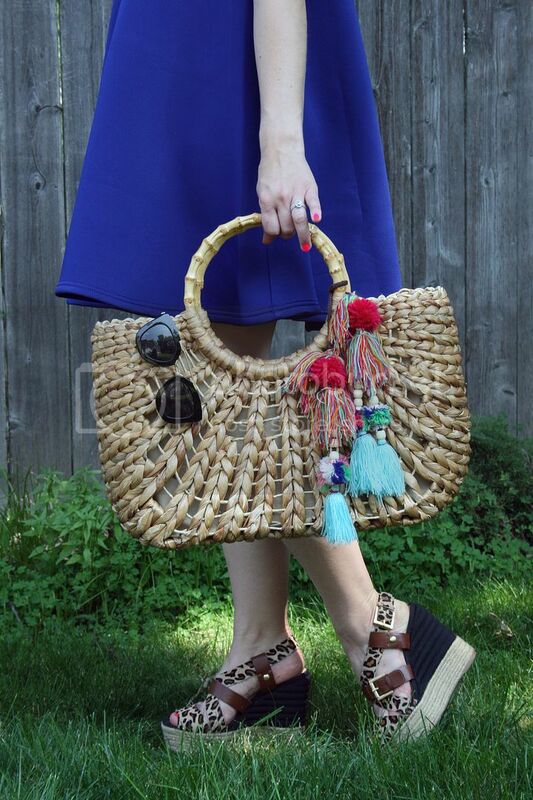 I chose wedges for this post, as well as a straw bag adorned with pom pom bag charms. This look would be great for a day running errands or spent at the flea market! The possibilities are endless. Check out Tobi for yourself to see all of their great summer pieces, and don't forget, first time customers receive 50% off their purchase! Thank you Tobi for partnering with us on this post.